Congratulations to Jacob Biro from Pierrefonds Comprehensive High School! 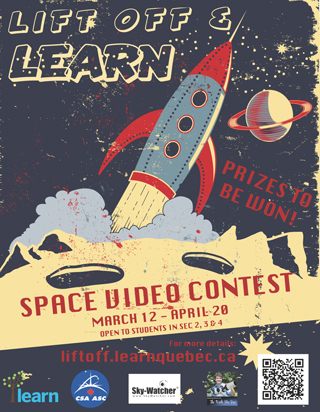 Jacob is the winner of the grand prize for Life and Learn\'s Space video contest. His excellent video has earned him a telescope donated by Sky-Watcher Canada. Have a look at his video and the Canadian Space Agency companion response here!